Enjoy 22 km of professionally groomed trails, classic and skate skiing high atop Blue Mountain. Snowshoe across Ontario's Longest Suspension Bridge or on 7km of snowshoe trails. Warming facility, lessons and food service. Enjoy a forest of oaks and towering pines and see the birds and mammals on groomed and track set trails. The Nordic Centre is equipped with washrooms, a snack bar and a fireplace. A winter playground to explore and make your own. The best way to enjoy an Ontario winter is to get out and play! 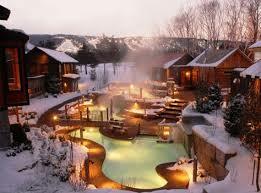 Whether you crave an adrenaline filled day on the slopes or a relaxing stroll through a welcoming Village. Make the most of your on-hill experience with the Blue Mountain Ski and Snowboard School, Racing Programs and Discover Skiing and Snowboarding Circuit. Snow tubing provides guests a genuine downhill experience without the speed and equipment associated with skiing and snowboarding. Tubing offers old fashioned winter fun for the entire family and gives all participants a gentle introduction to the Blue Mountain slopes. 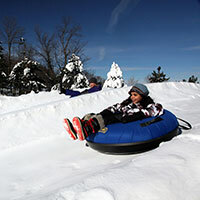 Join the thousands of other guests who have discovered the distinct joy of snow tubing. Our chalets and cottages are located just within minutes' walk to The Village! If you haven't visited the Blue Mountain Village, you're in for a pleasant surprise. Nestled at the foot of the slopes, the Village is the lively centre of the Resort where there is always something happening! Lounge beside the fire pit and enjoy buskers, concerts and a host of events. Enjoy a horse-drawn carriage ride, stroll down the cobblestone streets visiting unique shops, or stop into one of the many restaurants for a gourmet meal or quick treat. Over 25 shops, restaurants, bars! 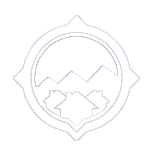 The Blue Mountain Village has everything you need to complement your perfect getaway.